Transform the look and road-holding of your car instantly with a new set of alloy wheels. Style - with over 500 different designs featured in the Carnoisseur range the choice is immense. 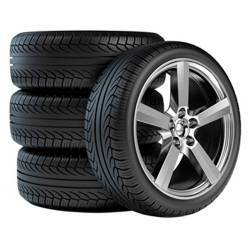 It is, however, essential that the wheels and tyres have been designed specifically for your vehicle. Simply select your make and model and the wheels suitable for your vehicle will be shown. Finish - Stainless Steel Lips, Polished Rims, Diamond Cut Spokes, Silver, Gold, Red, Matt Black... the choice is yours. Just filter by colour, finish and style and see the recommended wheels for your car. Size - in recent years the average size of wheels supplied with new cars has increased. The diameter of wheels has generally increased from 13 to 16 for most cars, and from 17 to 20 and above for high performance models. The most popular size now for upgraded wheels is 18 but it is not unusual to find 20 wheels specified, especially for the larger saloons and sports cars. 4x4 and SUV vehicles can go much much bigger! Fitment and Fitting - fitments are critical and best left to experts such as us! It is essential to ensure you get the correct PCD, centre bore, offset, width, size, nut and bolt specification, tyre size front and rear, load index and speed rating... All the correct information has been diligently entered into this website to ensure that only the correct wheels are recommended for your car. We offer nearly every brand of tyre and these will be expertly fitted before either dispatch to you or one of our fitting centres. In essence; leave it to us. You will receive first class advice and the correct fitment for your car. Specialist Fitments - some cars need special fitments for various reasons. Also some modifiers like to push the boundaries and fit different wheels; these may have very wide rims or in some cases small diameters for the popular Euro-Look. Let us show you the options and help you decide what is right for you. Security - we would advise you to select a set of locking wheel nuts or bolts of the best quality to ensure your wheels remain your wheels! Price Ranges - budget packages all the way up to original fitment wheels from specialist tuners. Carnoisseur cover them all. Hundreds of pounds to thousands of pounds. Carnoisseur have a full range of Alloy Wheels. To view the Alloy Wheels we offer simply make your selection below. You can purchase Alloy Wheels on-line or through our network of Carnoisseur Outlets. To find out more about Alloy Wheels click here to view our Carnoisseur Alloy Wheels Guide.